Math Amazing is fun math game allowing children to focus on specific number patterns or certain operations (plus, minus, etc.). This was written to help my son with particularly troublesome number combinations. 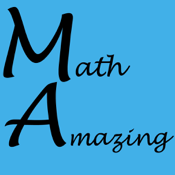 Math Amazing is particularly suited for children pre-k through 3rd grade.